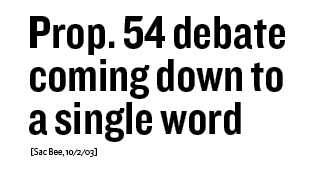 Democrat Manuel Perez accomplished a feat that no Democat has been able to do since 1992. Das Williams beat back a slew of negative campaign ads in the final days of the campaign to trounce Susan Jordan in the 35th Assembly District Democrat primary. 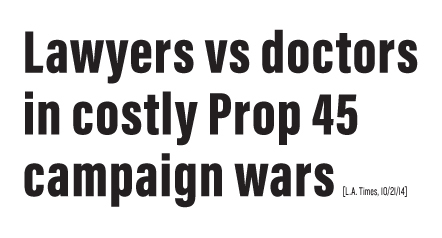 Pan defeated Republican Andy Pugno, whose role as attorney for Proposition 8, the ban on gay marriage, made him a lightening rod for controversy. 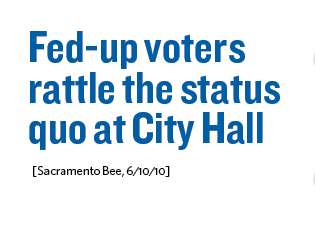 Since 1992, no incumbent Sacramento City Councilmember has lost a re-election bid; on Tuesday night that all changed. It’s been 18 years since such an upset has occurred. Ryan McInerney spent the past two election cycles at the Democratic Congressional Campaign Committee (DCCC)—the Democratic Party’s campaign arm for U.S. House races—most recently serving on the executive leadership team as the Senior Political Advisor and Research Director for the DCCC’s nearly $80 million independent expenditure (IE) program. While on the IE, Ryan managed a staff of 15 and played a leading role in directing strategy and paid media communications in 47 U.S. House races across 21 states. He worked directly with consultants and pollsters to craft multi-pronged, targeted communications plans consisting of 122 polls, 109 TV ads, 23 radio ads, 143 mail pieces, and 270 digital pieces that localized national issues and trends in ways that connected with persuadable voters. 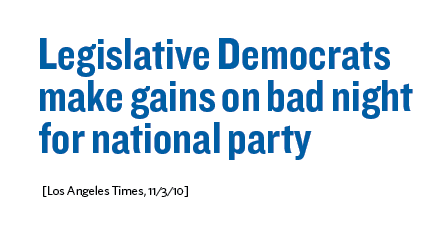 Despite a challenging national environment, Democrats picked up six seats in the House. In addition to his work on the DCCC IE, Ryan has extensive experience with candidate campaigns. In 2014, Ryan joined the DCCC as its West Regional Research Director, managing strategic and policy research for over 15 top-tier campaigns throughout the West, including in California, Nevada, Arizona, and New Mexico. His team successfully defended every vulnerable Democratic incumbent in California in a cycle where the House lost 13 seats nationwide. 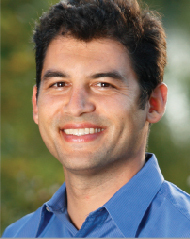 Prior to the DCCC, Ryan served as the Director of Legislative and Federal-State Relations at the California Institute for Federal Policy Research in Washington, D.C. where he analyzed and communicated nonpartisan research on important issues, such as health care, the environment, and education, to various state interests. 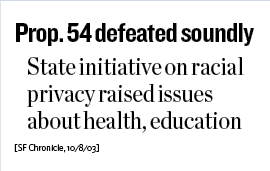 He was also a Capital Fellows Program participant in the Executive Office at the Orange County Superior Court, crafted messages for numerous campaigns at a strategic communications firm in Oakland, and served on Phil Angelides’ gubernatorial campaign in 2006. Before moving to Washington, D.C., Ryan proudly served on President Obama’s successful re-election campaign as his VP Team Lead for Rapid Response Research, coordinating research efforts for a 7-member team focusing on then-VP candidate Paul Ryan and leading rapid response efforts during the VP debate. Ryan received a B.A. in Political Science from the University of California, Irvine and a J.D. from the University of Nevada, Las Vegas. He grew up in Southern California and lives in Los Angeles with his wife, Mallory, and their dog, Marlow. 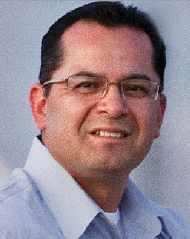 Emilio Vaca is a longtime strategic collaborator with JPM&M, specializing in grassroots coalition building, field consulting and management, issue campaigns, public affairs, and organizational development for community non-profits, trade associations, and labor unions. Prior to his work with JPM&M and founding Vaca Consulting, Emilio spent 10 years working in the non-profit sector and the labor movement. Most recently, Vaca served as the Executive Director of the North Tahoe Family Resource Center where he directed day-to-day operations and oversaw the creation of a wide variety of programs for the organization, which serves over 1,500 Tahoe area families. In 2010, Emilio was named Citizen of the Year by the North Lake Tahoe Chamber of Commerce in recognition for his work in the community and leadership in growing North Tahoe Family Resource Center. In addition, Emilio served as Development Coordinator with the Cesar E. Chavez Foundation, an organizer with SEIU International, Prevention Program Manager with the Tahoe Women’s Services, and as a public affairs and communications consultant. Emilio has also served on several boards and commissions including the Latino Leadership Council and the Parasol Community Collaborative. He resides in Kings Beach with his wife and their two daughters. Pat Dennis has extensive experience developing and implementing winning campaign strategies for legislative candidates, issue advocacy campaigns, local candidates, statewide ballot measures and institutional clients. He specializes in coalition building, grassroots field operations, voter targeting and campaign management. 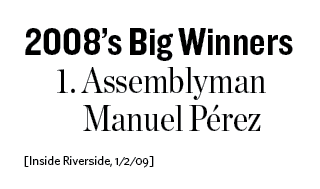 In the 2010 cycle, Pat Dennis was recruited to manage the general election campaign of Assemblymember Dr. Richard Pan. As campaign manager, he helped craft a come from behind victory in a district that had previously been held by Republicans for over three decades. 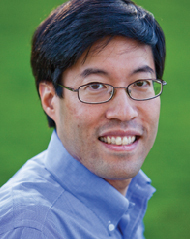 Dr. Pan’s election represented the only legislative gain for Democrats in the state of California. Pat Dennis also served as campaign manager for Assemblymember Das Williams for the primary and general elections in 2010. 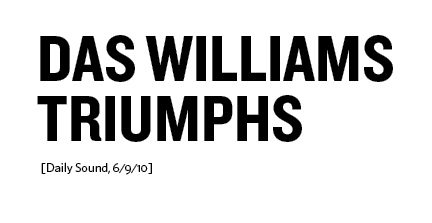 Pat designed and directed a massive volunteer grassroots operation that provided Williams with the winning edge during his bruising primary election battle. Prior to 2010, Pat Dennis has designed and directed field operations for issue advocacy, non-profit organizations and independent expenditure campaigns in over 50 congressional races throughout the country. In this capacity, Pat has created cutting edge voter communications programs that utilize micro-targeting techniques to vastly increase the efficiency and effectiveness of direct mail and traditional direct voter contact methods. Pat Dennis also previously worked as part of the team for the New House PAC that held nationally recognized training programs for congressional candidates. Pat also has extensive experience at the local level, providing direct mail, message development, field consulting and campaign management services for dozens of campaigns for city council, county supervisor, and local measures. Pat graduated from UC Santa Barbara in 2003 with degrees in Philosophy and Political Science. Expertise managing ballot measure campaigns from the early stages of securing qualification on the ballot, Title & Summary, ballot arguments, and general consulting, as well as specialized consulting services in message development and direct mail. Over the past decade, Josh Pulliam has earned a reputation as one of the most effective and highly sought after Democratic strategists and public affairs consultants in California. Pulliam has helped engineer victories in more than more than 150 successful candidate campaigns, ballot measures, and public affairs campaigns working with labor unions, trade associations, health care providers, Indian tribes, and non-profit organizations on a broad spectrum of issues and campaigns from California to New York. 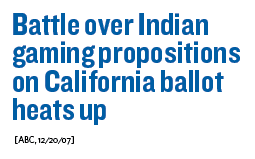 JPM+M led campaigns helped pick up Democratic seats in five consecutive election cycles, and helped Democrats pick up supermajorities in California in 2012 and in 2016. JPM+M’s successful work includes unprecedented victories and significant underdog campaigns helping Democrats beat Republicans in swing districts, helping to elect more women and ethnically diverse candidates to public office, and electing a new generation of leaders in California representing the ethnic and cultural diversity of the state. 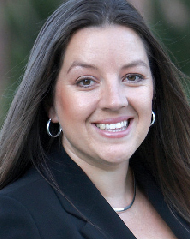 Serving as a general consultant and producing direct mail for dozens of state initiatives and local ballot measures, Pulliam has helped clients win campaigns ranging from health care access, education, taxes and revenue bonds, renewable energy, veterans housing, technology, economic justice, and civil rights. JPM+M is one of the nation’s most experienced firms in managing campaigns, developing messages, and producing mail specifically targeting Latino voters in English and in Spanish. 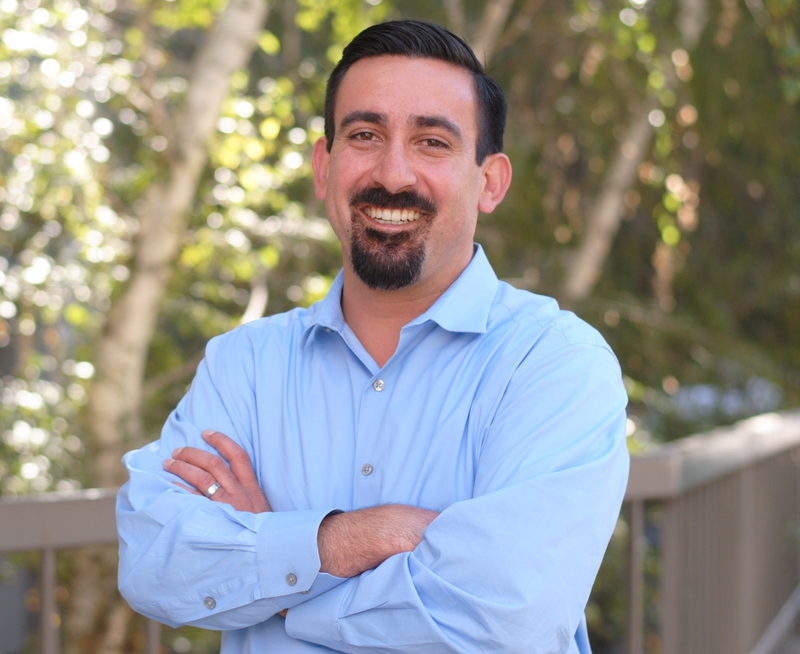 Pulliam has elected dozens of Latino and Latina candidates to office, and works with the California Latino Caucus PAC, BOLD PAC in Washington DC, and many other clients to help elect more Latino candidates to the public office in California and throughout the nation. JPM+M also specializes in early voting/absentee ballot programs that have banked millions of votes before election day, positioning clients for victory before the polls open. 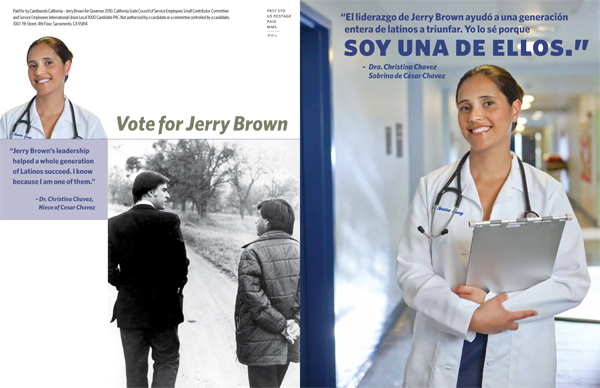 Josh Pulliam’s bilingual mail that helped elect Jerry Brown and his bilingual mail for statewide initiatives, as well as direct mail for early voting/absentee voting programs has won numerous awards. Over the years, Pulliam’s campaign work was featured in the New York Times, Albuquerque Journal, Des Moines Register, Los Angeles Times, Miami Herald, San Francisco Chronicle, Politico, CNN, Wall Street Journal, and he was also named one of “California’s Top 100 Influencers” by Campaigns and Elections Magazine. Prior to founding JPM+M, Pulliam was a Los Angeles-based Democratic mail consultant on presidential, gubernatorial, congressional, and state legislative campaigns across the country, including Arizona, Florida, Ohio, Pennsylvania, South Carolina, New Jersey, Arkansas and California.